Our first new trucker hat is the Two-Tone Trucker Hat 2812. This 6-panel blank trucker hat contains a slightly curved bill and a mesh back. It has two tones and has the front part made of cotton (35%). In contrast, the mesh and the snap are polyester (65%). As most other hats sold by us, this One Size fist most people and contains a plastic snap. The crown is 4.5 inches and it is structured. The bill measures 2.5 inches and has the same color under-bill. It is made in China and only costs $3.25. Next, comes our new Melange Trucker Hat 2811. 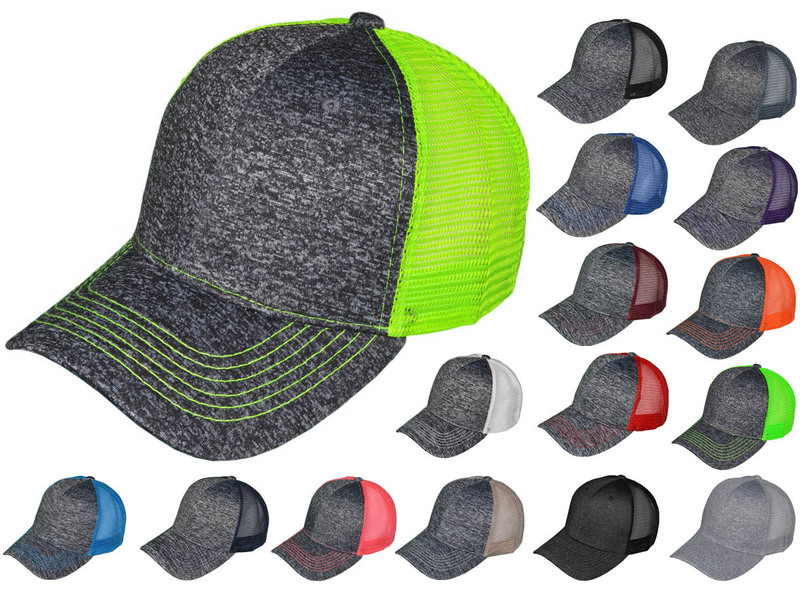 Just like the other ones, this trucker cap contains a mesh back. The front panel is a poly melange jersey and it contains 6 rows of matching stitching on the visor area. It is pre-curved and has a Snapback closure. Unlike the first blank trucker cap mentioned, this one is 100% polyester. It is made in China and currently costs $2.50. Last but not least, comes our new Distressed Trucker Hat 2994. This distressed hat has a low profile and contains a 100% cotton front. The frontal part is pre-curved and frayed as well. 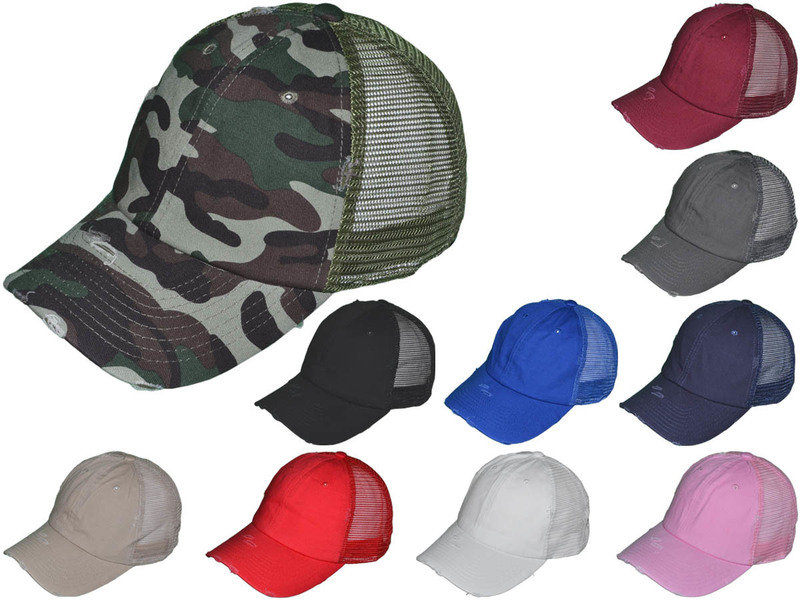 The back part is made of polyester and has a plastic snapback closure as other one-size-fits-most hats. This hat is comparable to the Hobby Lobby Trucker Hat & the Kbethos vintage Trucker Hats. Like the other ones, this hat is made in China and the price ranges from just $2.99 to $3.25. If you are looking to make a design on one of these three hats the best method is through embroidery.